TNO – It’s So Sweet to Go Sugar-Free! Obesity, diabetes and cardiovascular diseases dominate the costs of healthcare in our western societies. The increasing consumption of snacks between meals is one of the causes. The food industry is challenged to develop healthier concepts for these types of snacks, usually using a reformulation of food products by gradually reducing the salt and sugar content. But this is not enough to achieve the reductions needed. 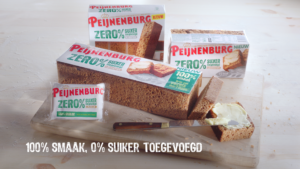 To reach such goal, TNO and Royal Peijnenburg, gingerbread maker since 1883, jointly developed a tool that uses the molecular properties of different sugar and sweetener ingredients to predict the essential quality features of bakery products. This tool is instrumental to product developers who first define specific requirements with respect to quality and composition, enabling more precise product development and significantly speeding up the innovation cycle. Such effective guidelines enable to make great tasting cakes without any sugar added. A healthy snack should contain less than 110 kcal per portion and less than 20 gr/100gr added sugar, but hardly any of the snacks currently in the market meet these two criteria. To reach that goal, the food industry usually uses a reformulation of food products by gradually reducing the salt and sugar content, adapting recipes to contain 5 to 20% less sugar and salt. However, reaching beyond 50% reduction often results in a significant depreciation of the product quality. To counter this, new insights into the functionality of the different ingredients that make up the food are required. However, for complex food formulations, describing their interactions is not easy. To create a generic tool, EARTO member TNO and Peijnenburg realised that more basic knowledge was needed to better predict the quality changes that result from reformulating cakes’ composition. 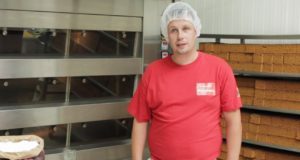 Using the full scope of a 3-year Public Private Partnership, TNO developed a patented physical model that uses the molecular properties of different sugar and sweetener ingredients to predict the essential quality parameters of bakery products. The model was also converted into a practical tool that calculates proto-recipes on the basis of desired composition and quality. This tool is instrumental to product developers who first define specific requirements with respect to quality and composition. With such tool, Royal Peijnenburg could develop a recipe for a good quality cake with no added sugar and 20% less calories. Selected as the healthiest snack in January 2016 by the Dutch consumer organisation, it is now regularly used by a large client base. The household penetration reached 13%, compared to 40% for the overall brand, and more than 1 million households bought the product. Royal Peijnenburg expects to grow to a penetration of 25% and a volume of 3000 ton in 2020 for the product, with the objective to replace the traditional product. Royal Peijnenburg and their mother company Lotus continued the development work with TNO to extend the technology for their international product categories.